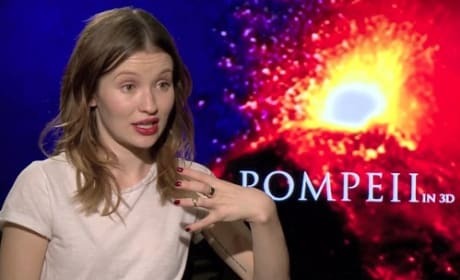 Emily Browning has appeared in both Zack Snyder's Sucker Punch and another special effects-heavy film, the due this Friday Pompeii. Paul W.S. Anderson (Resident Evil) directed that disaster epic, and she compares the two experiences.